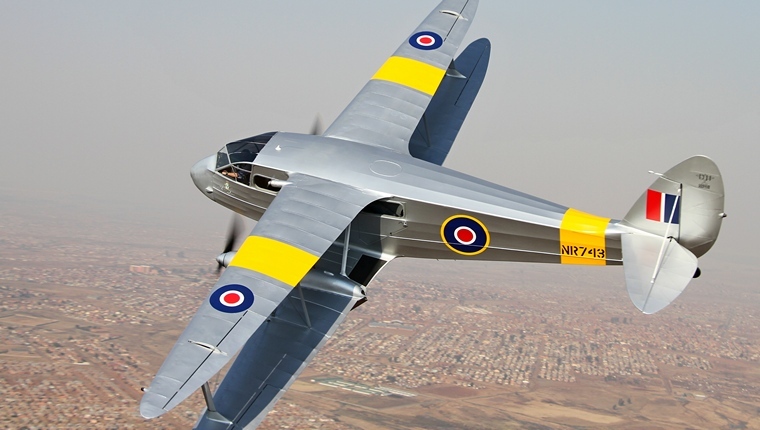 There are some aircraft that just seem right and that has a certain magic that makes them stand out from the rest. They might not have been built in huge numbers or have been game changers but in their own way contributed to the way in which aviation changed the world. The Rapide is one of them. 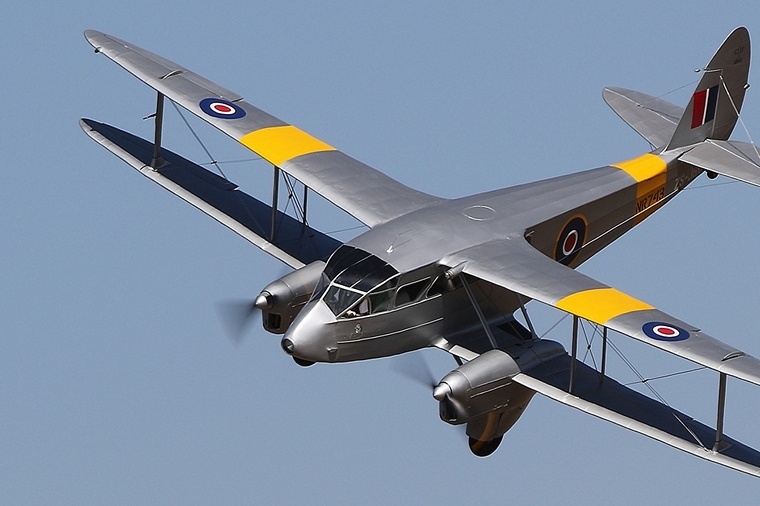 Built in the 1930s by de Havilland when the biplane still reigned supreme and wood was the still the principle construction material the Rapide was the forerunner of what today is the short-haul regional airliner. 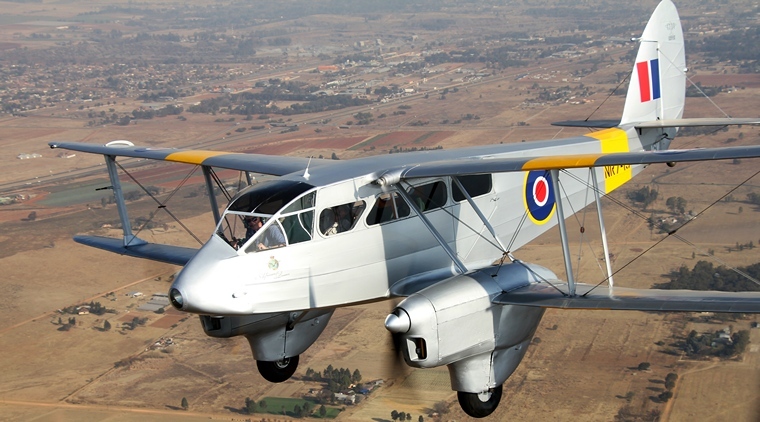 Able to carry 6-8 passengers in relative luxury it became perhaps the most successful British-built commercial passenger aircraft of the 1930s. Prior to WWII 205 Rapides were built for airlines and other owners all around the world. 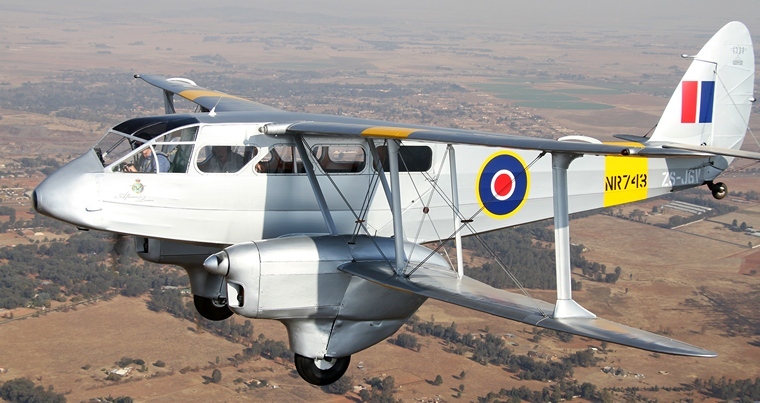 Like most other civilian aircraft of the time the Rapide was impressed into military service during WWII and served under the name Dominie for passenger and communication and reconnaissance duties. More than 500 Dominies were built by de Havilland during the war including a combat version that was fitted with a Vickers machine gun on the starboard side of the nose, a bomb bay for two 100-lb and four 20-lb bombs as well as one Lewis gun on a flexible mounting on top of the fuselage. 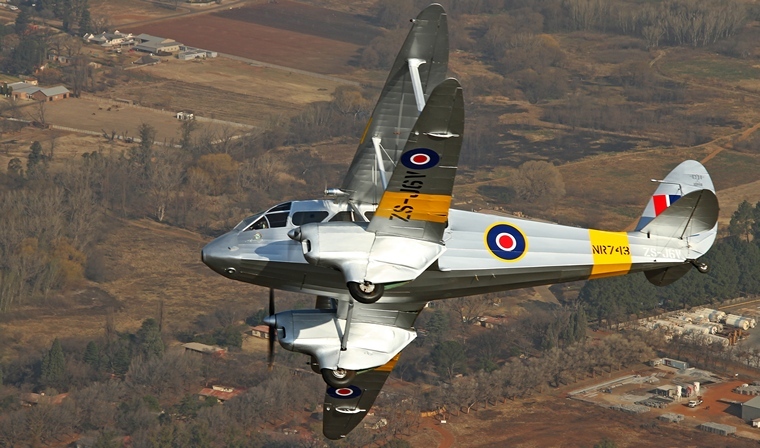 Hundreds of Dominies were disposed of as surplus after the war and many ex-RAF survivors entered commercial service. Two Rapides, ZS-BZU and ZS-BZV, where purchased by Comair from a Rhodesian. 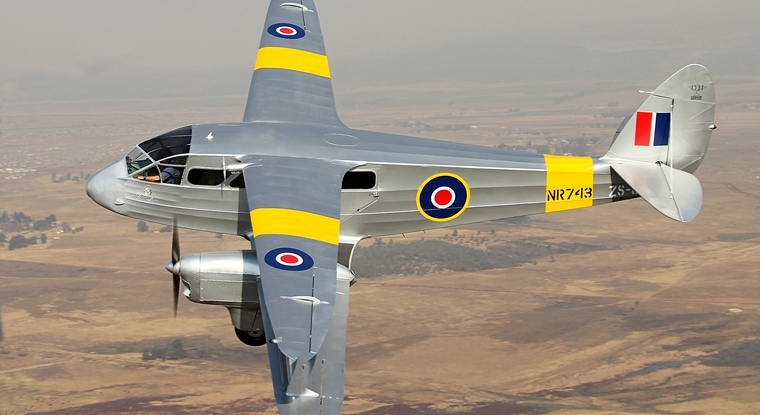 They were flown from Bulawayo via Pietersburg to Rand Airport where they were refurbished and repainted. On 5 October ZS-BZV opened the companies route to Welkom. ZS-BZU followed nine days later. Another of those sold to commercial operators was construction number 6831. She was sold to the BOAC on 1 July 1947 and eventually found herself as part of the East African Airways Corporation fleet in Kenya based in Nairobi where she was christened the "African Queen." For the next couple of years she did her name proud, flying in Kenya, Tanzania and the Seychelles as well as in Uganda where at Entebbe Airport she was damaged when her brakes seized. Repaired she was sold to a Mr. W.J. Baker in 1971 and until December 1974 she flew under the banner of the Air Mahe in the Seychelles. Leaving the islands she went south to Plettenburg Bay, South Africa and registered as ZS-JGV she flew as part of the Progress Flight Academy fleet form Progress Airfield. 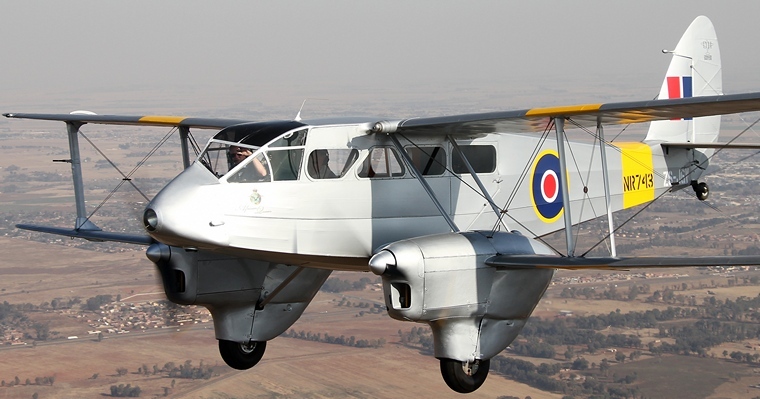 She apparently twice made the journey up north; once in 1987 to AFB Zwartkop during the occasion of the Wartime Air Training Scheme (WATS) Reunion and once in 1993 to Rand Airport. In 1996 she was withdrawn from service for a complete rebuild. The sub-assemblies were moved to Port Alfred and but returned, still incomplete to Progress Airfield and stored until 2011. Fortune then smiled on t her when Queenstown based Mark Sahd purchased the partially restored sub-assemblies and entrusted the restoration to East London based Dave Hart. It was soon realised that this was not going to be a quick restoration but a complete rebuild. 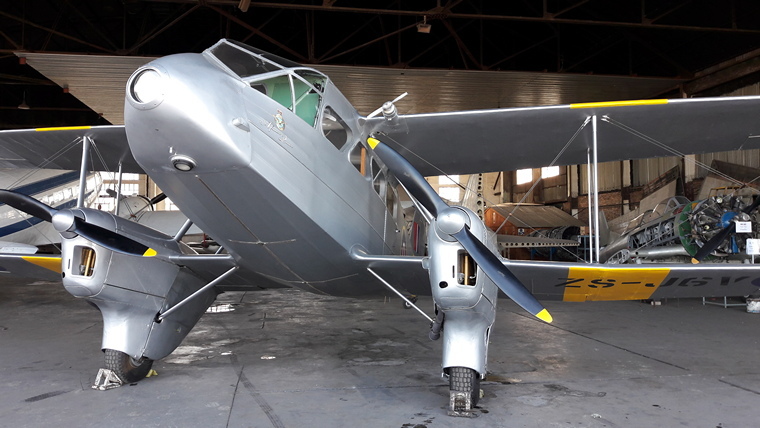 Having operated for a large number of years in the corrosive coastal atmosphere most of the metal nuts and bolts as well as the metal of the control systems were corroded and much of the wood of the fuselage had to be replaced. All of the instruments were overhauled and her interior was redone and re-upholstered. On 16th June 2016 the African Queen took to air form East London Airport with Captain Flippie Vermeulen at the controls. The test flight lasted 25 minutes and she performed flawlessly. 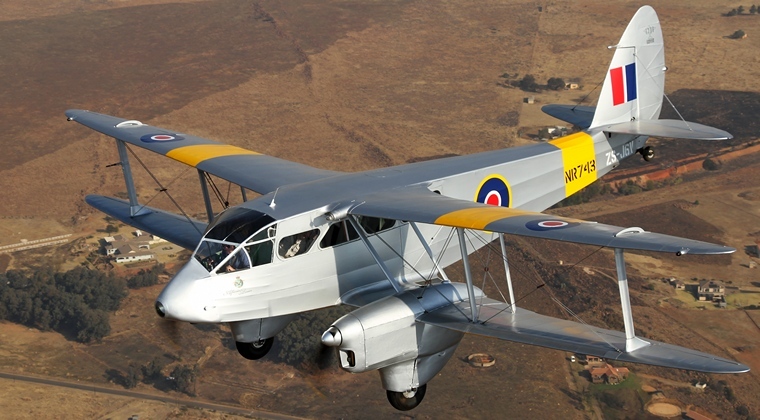 On 20 August she made her first appearance up north in years when accompanied by two de Havilland Chipmunks. She was welcomed by a large number of Tiger Moths and Chipmunks at Petit Airfield. The following Sunday she thrilled the crowds at the Grand Rand Airshow. On 26 August 2016 Brian Stableford flew her down south to Queenstown where she will be part Mark's Historic Wings Collection and on 16 and 17 the June 2017 she formed part of Mark's collection that was displayed during the Allister Miller Centenary Event held in Queenstown.